Our white goat statue is so sweet and detailed you’ll want to reach out and pet it. Made from a durable stone resin material. Hand painted and would look surprising peeking out of a part of your yard or garden. Hand cast and airbrushed lifelike detail with high gloss horns and hoofs. Measures 16-1/2″ high x 19″ long x 7-1/2″ wide. 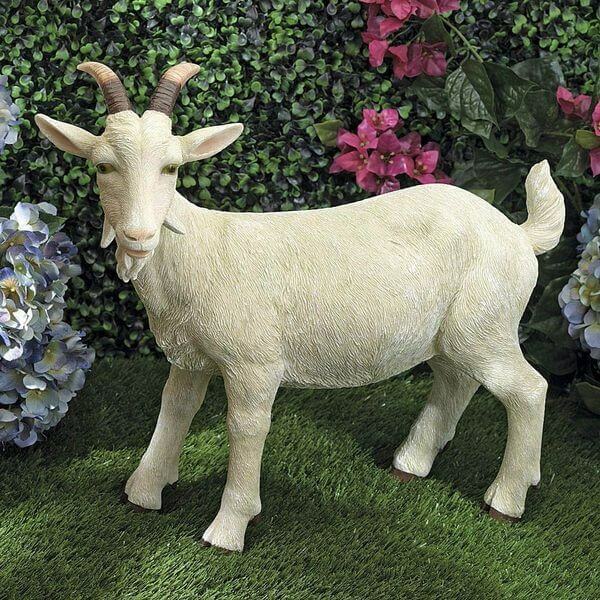 The Goat Resin Garden Statue is a durable resin and stone garden statue fashioned into the image of a white goat. Built to last for years to come, this statue has been hand painted and is highly detailed. It measures 16.5 inches by 19 inches by 7.5 inches. 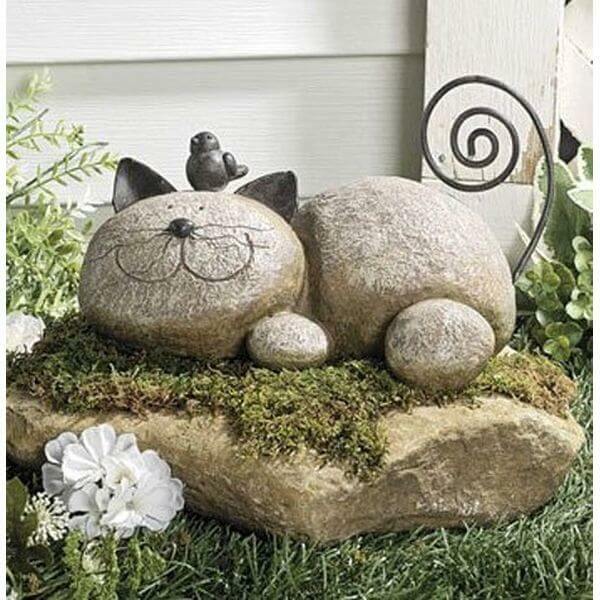 The Resting Stone Cat Resin Garden Statue offers an image of a cat happily lying in the garden with a bird on its head. It is made out of sturdy, yet lightweight resin material and measures 9 inches in width by 4.5 inches in height by 4.5 inches in depth. 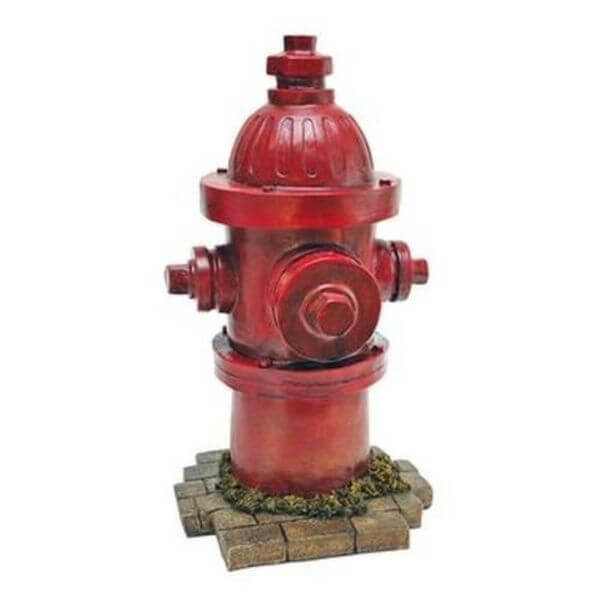 The Fire Hydrant Resin Garden Statue is made to look just like an authentic red fire hydrant on a street corner with its lifelike details. It measures 14 inches high and is crafted out of ultra durable resin, which is enduring to last for years when displayed indoors or outdoors. 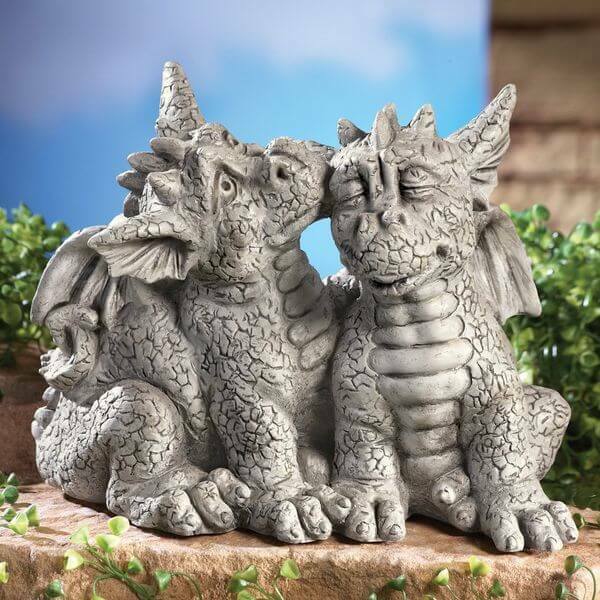 The Dragons in Love Resin Garden Statue features two dragons snuggling and kissing one another and can add charm to your garden. Made from resin, this statue measures 9.75 inches in length by 6.5 inches in width by 7.5 inches in height and has been hand painted. 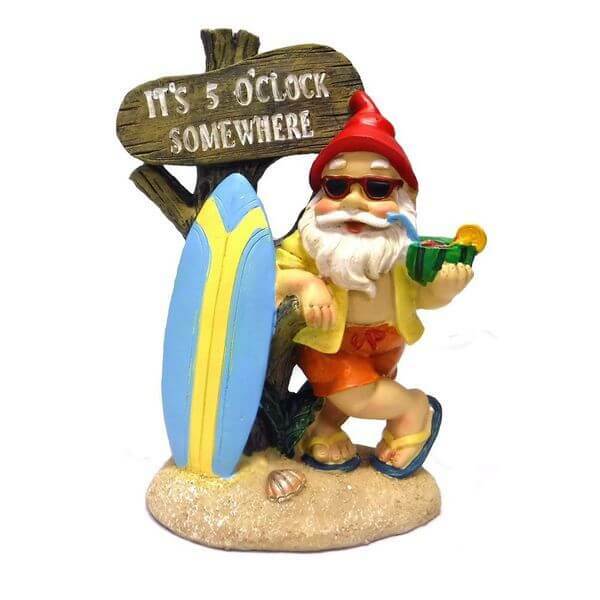 The It’s 5 O’Clock Somewhere Tropical Party Gnome Garden Statue is a fun take on a classic gnome garden statue. Made from weather-resistant resin, this brightly colored garden statue measures 5.5 inches by 3.75 inches by 9 inches in size, sure to catch the attention of any guest. 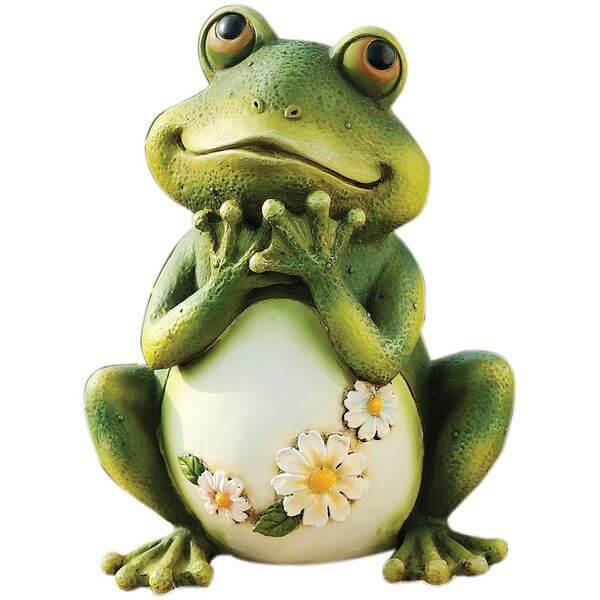 The Tall Frog Sitting Up Garden Statue is a whimsical and playful garden statue featuring a happy frog. It is made from a durable blend of stone and resin and is sure to last for years of enjoyment in a special place in your garden. This garden stature is ideal for both indoor and outdoor use.